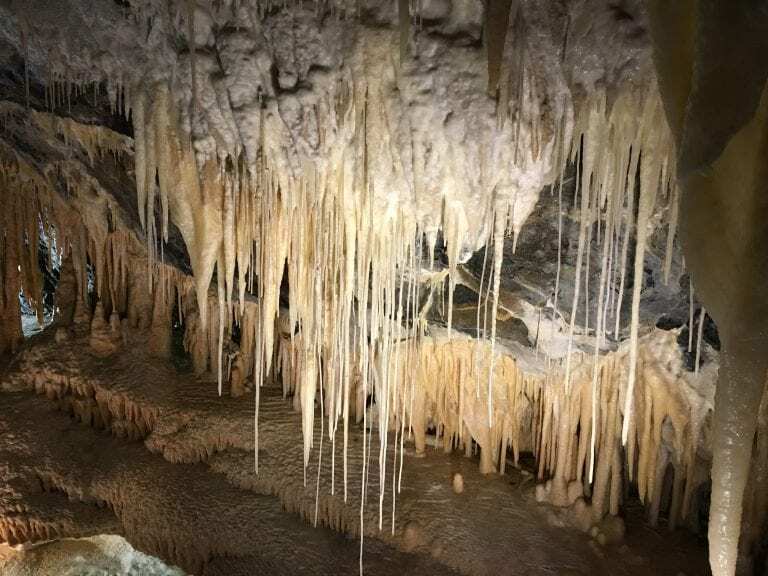 This was our first cave experience and we were not disappointed – it was amazing!! 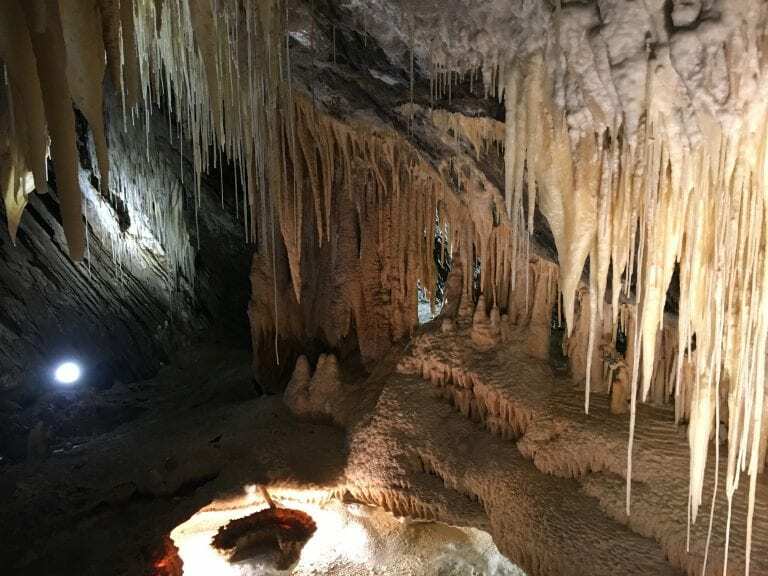 With two creeks running through the cave, a magical glow-worm display and a very informative tour guide, this is definitely one to put on your list of things to do!! 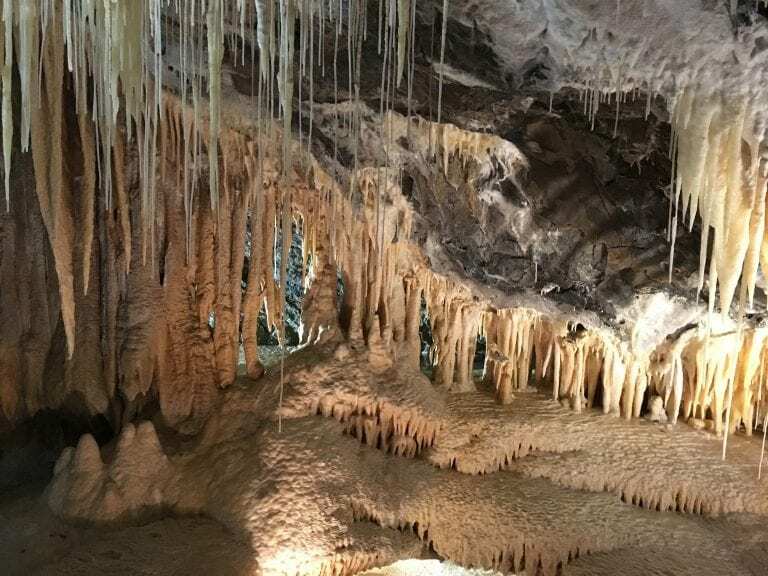 Marakoopa Cave is within Mole Creek Karst National Park, just over an hour south of Devonport in Tasmania. 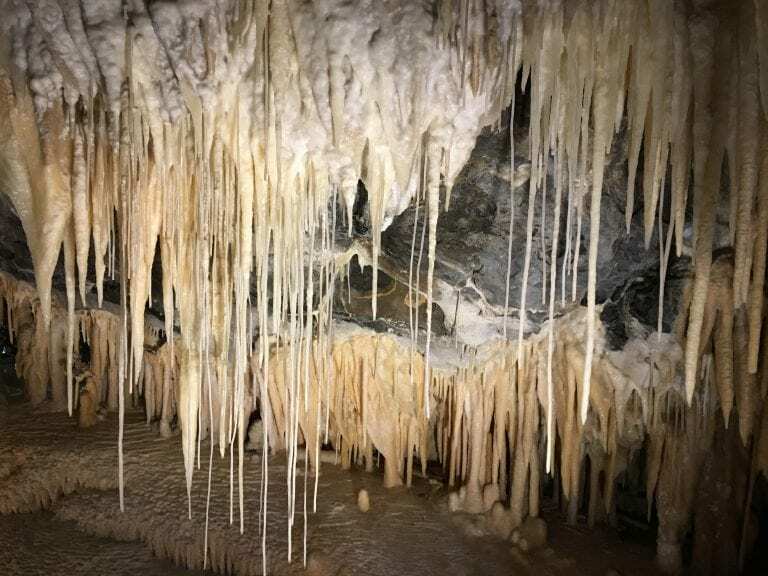 Tickets are available from the Mole Creek Caves Office. 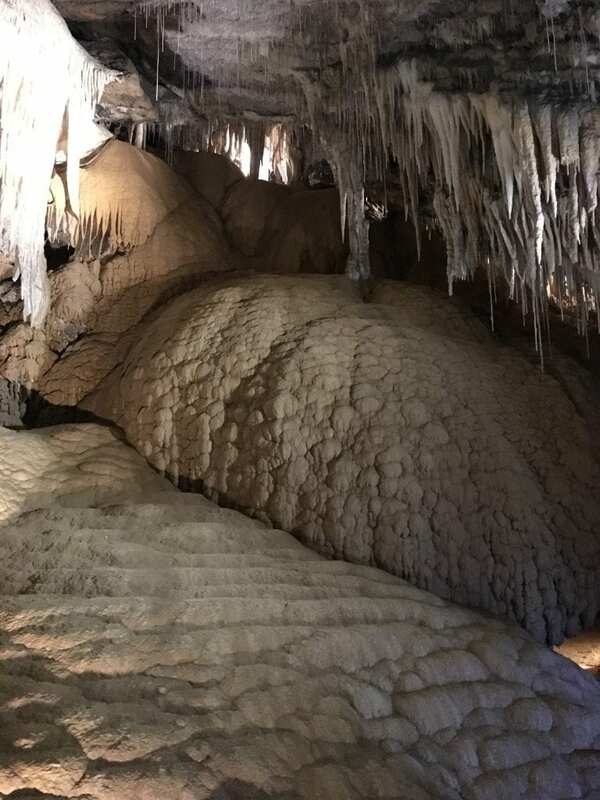 We did the Underground rivers and glow-worm tour at Marakoopa Cave. From the ticket office you have two options. 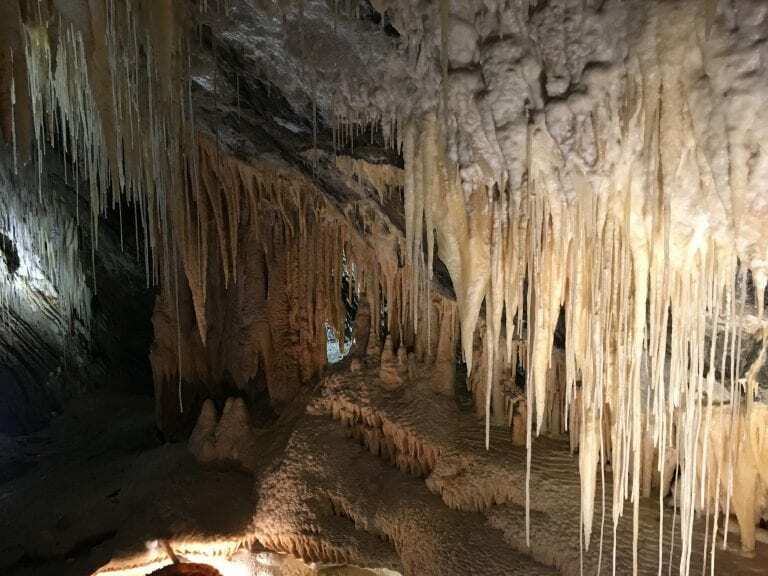 You can drive to the car park at the entrance to the cave or leave your car and take the short walk along Fern Glade Track. At the end of the tour, in one particular section, the lights are turned off and you are thrilled with a beautiful glow-worm display. No cameras allowed in this section. 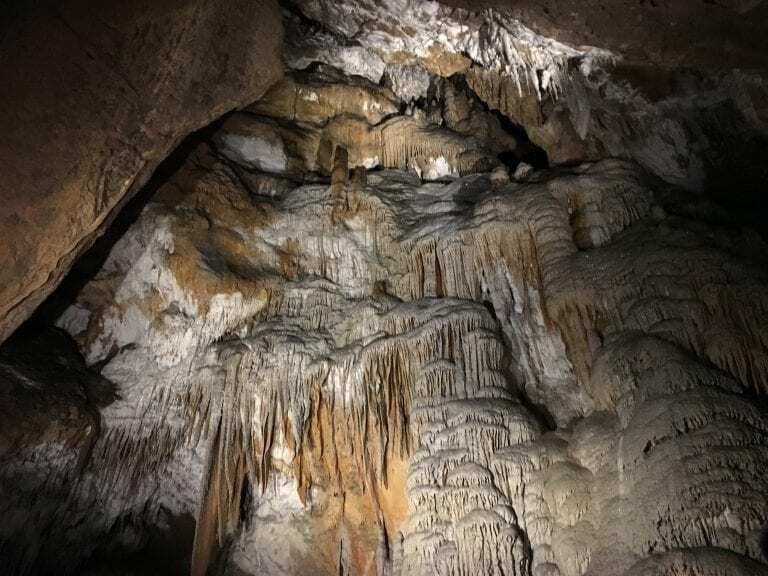 King Solomons Cave is also in the area and open for tours. 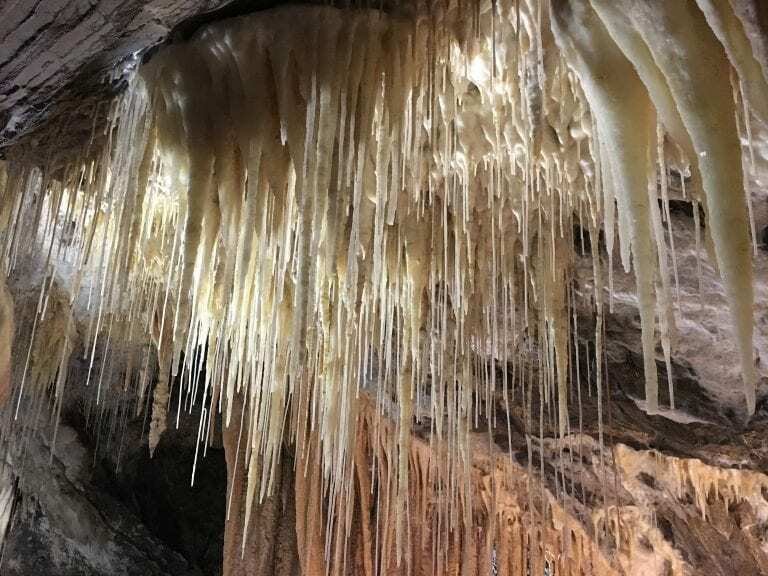 The caves are cold and at a constant temperature of 9 degrees all year round so rug up! Closed in shoes are recommended. 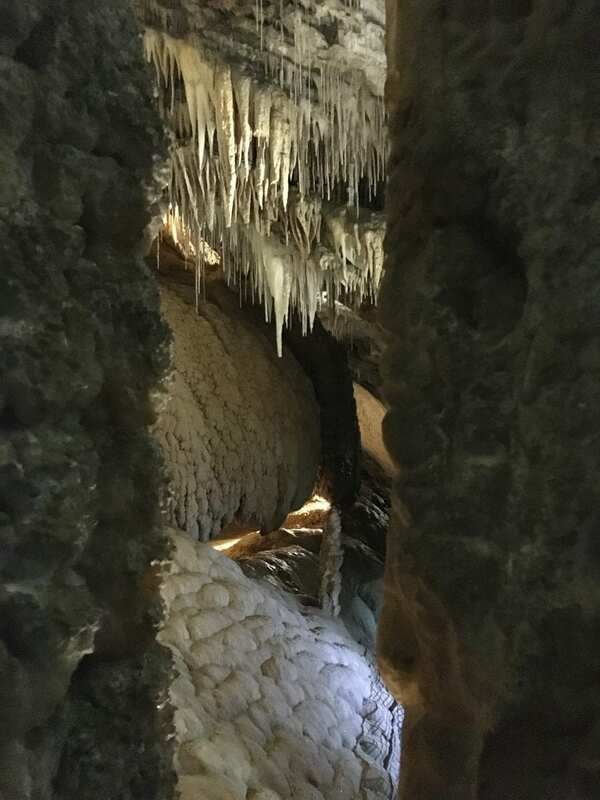 Cameras are allowed with the exception of the glow-worm area at Marakoopa Cave. The guided tours last around 45 minutes. 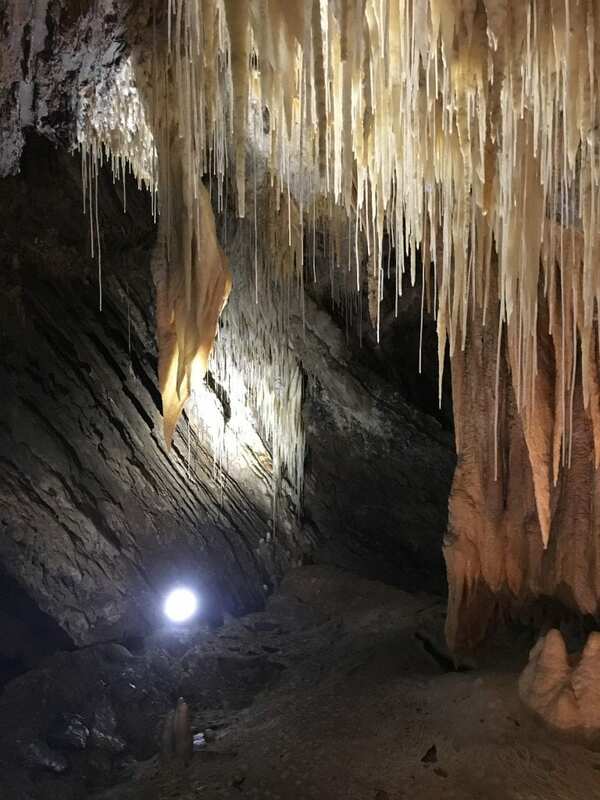 For more Tassie attractions, click here! 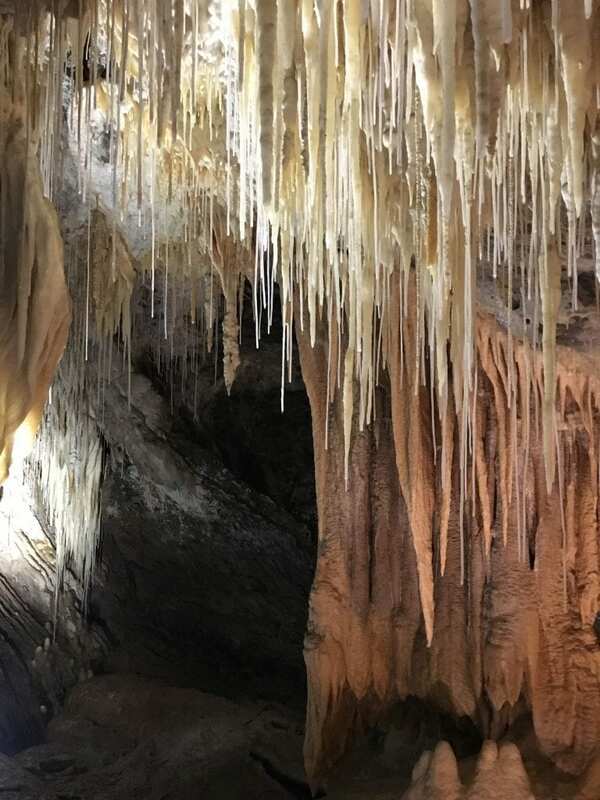 Posted in: Australia: Places to Visit & Explore, Tasmania!